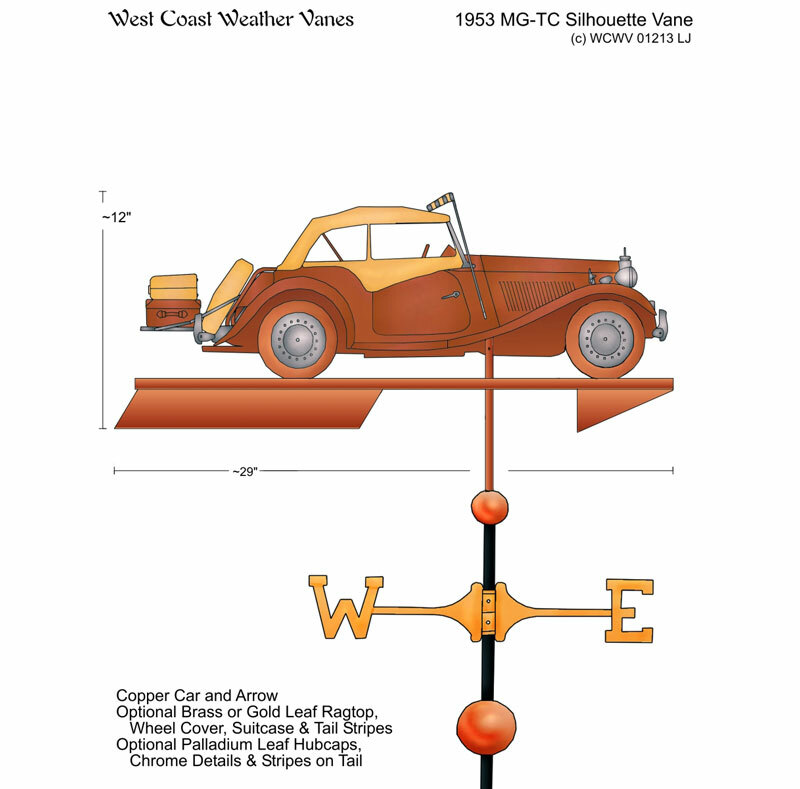 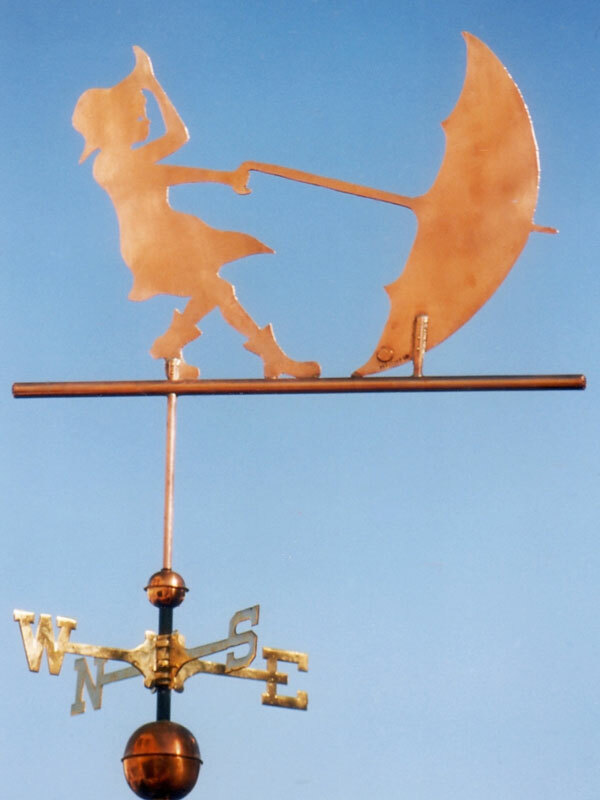 A single sheet of heavier gauge copper is typically used to create a silhouette weathervane although we can also layer copper and brass together and add optional gold or palladium leaf to create silhouette style designs with added visual interest. 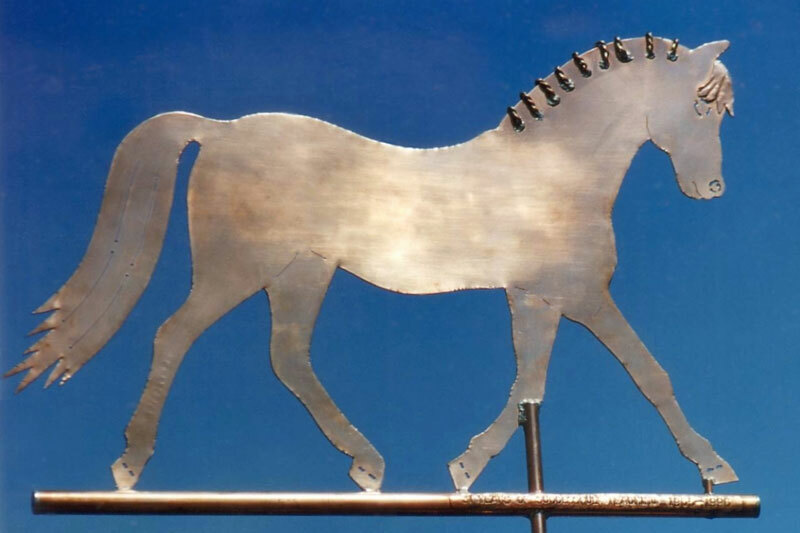 The sculpture piece itself is flat with the emphasis being on the silhouette. 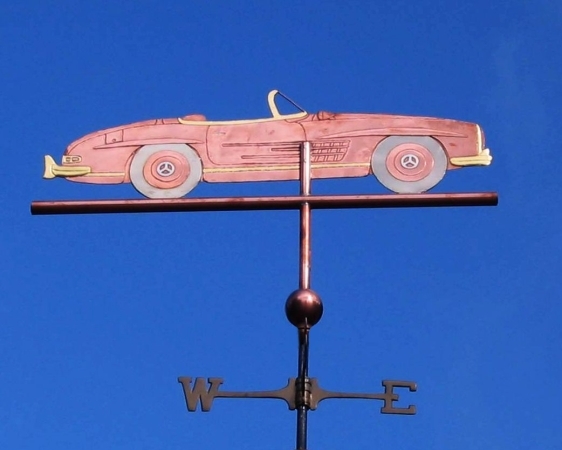 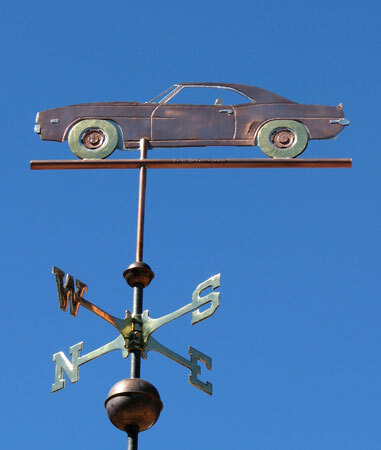 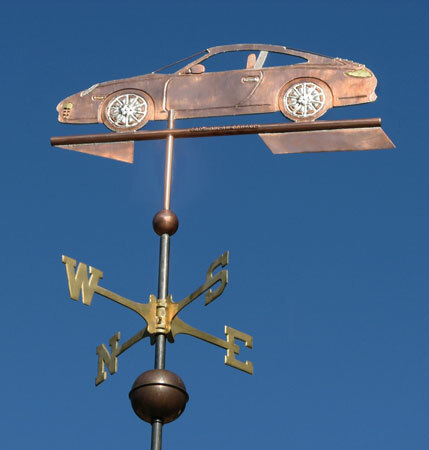 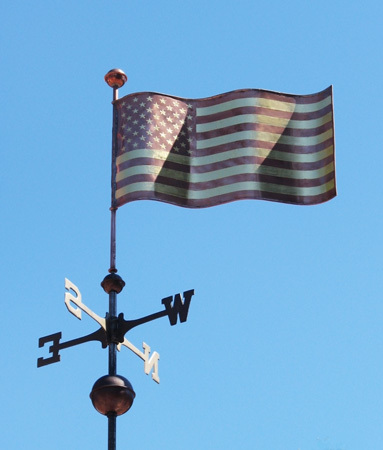 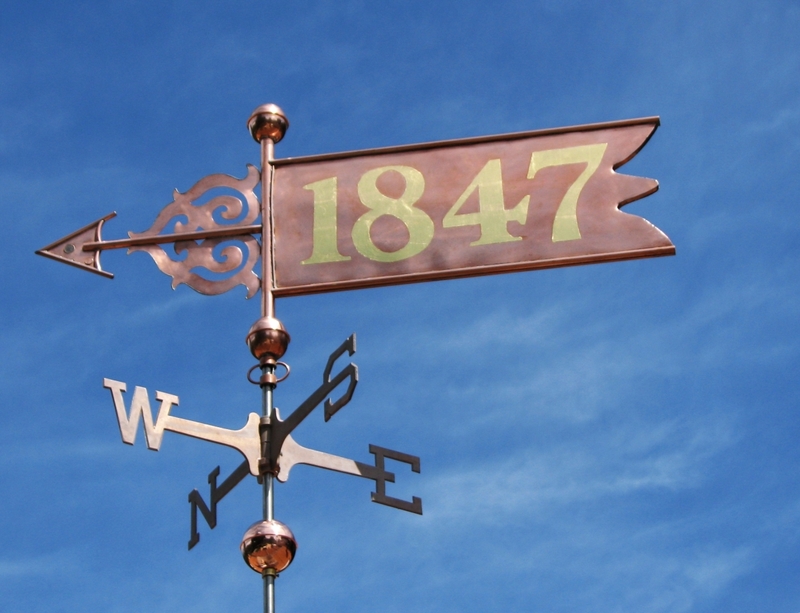 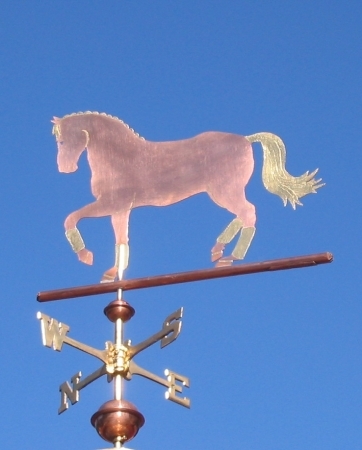 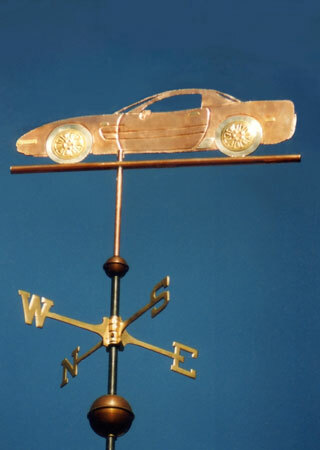 These types of weathervanes are best viewed against a clear sky background. 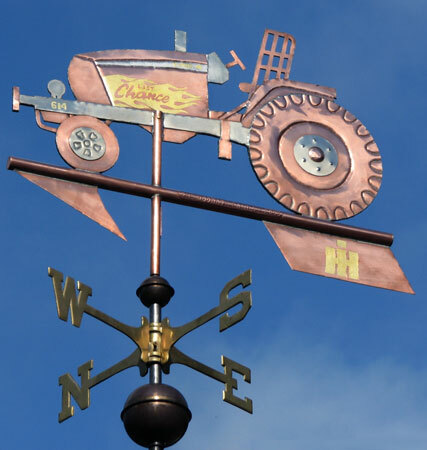 Because they are made from single sheet rather than the more traditional swell-bodied style weathervanes (two sheets of copper shaped and soldered together around the perimeter), they have minimal structural support when compared with their more dimensional counterparts. 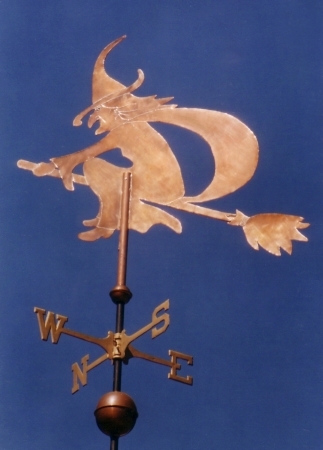 For this reason we normally do not make silhouette weathervane sculpture pieces larger than the Medium Size (~two-feet or ~60cm). 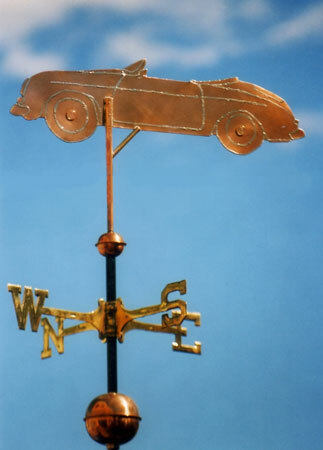 Because they typically takes less time to make, our Silhouette Weathervanes tend to be more economical. 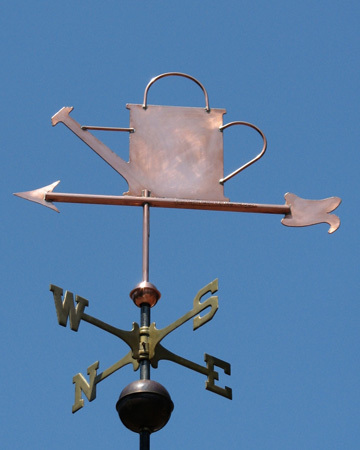 If you look at the sampling of Silhouette Weathervanes below and compare them with similar Swell-Bodied or Full-Bodied counterparts, you can get a feel for the range we can offer and the visual impact of the different styles.